Network and application performance management company Riverbed announced this morning that it would acquire end-user experience monitoring firm Aternity for an undisclosed fee. Aternity, a privately held company headquartered in Westborough, Mass., was founded in 2004 as Gelion Networks. Its core technology, which is currently operating on 1.7 million global endpoints, is real end-user monitoring, which detects performance issues by analyzing user behavior. The idea, according to Riverbed, is to add Aternity’s technology into the company’s extensive existing lineup of monitoring and management capabilities. That’s important, because the number of different types of endpoints in use has been growing fast in recent years, said Jerry Kennelly, Riverbed’s chairman and CEO. “With the increased use of mobile devices, virtual desktop environments and the cloud, the ability to manage end user experience has become more important and complex for IT organizations,” he said in a statement. On the back end, as well, the increasing hybridization of the IT environment means that there’s a greater need than ever for end-to-end monitoring. Local, private cloud and public cloud deployments are often present in any given IT setup, which makes tracking performance issues across applications a complicated business. “By capturing and analyzing how applications and devices perform from the end user’s perspective, Aternity offers enterprises the ability to proactively manage these increasingly complex IT environments,” said Riverbed’s senior vice president and general manager of the SteelCentral business unit, Mike Sargent. 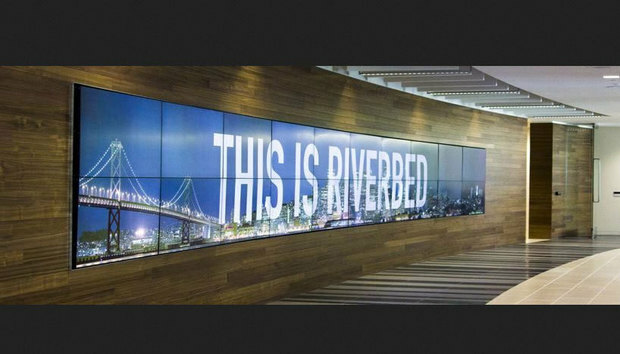 The deal, which is expected to close next month, is the latest Riverbed acquisition aimed at expanding the company’s product portfolio, a strategy that it has pursued several times in the past. Riverbed bought Germany-based SD-WAN specialist Ocedo in January, turned performance analysis company OPNET Technologies into its SteelCentral product line in late 2012, and in return, sold its SteelApp application delivery controller business to Brocade in February of last year. The company has been privately held since a $3.6 billion buyout by private equity firm Thoma Bravo in 2014.